Chaopraya Mahanakorn Public Co., Ltd., a top real estate developer in Thailand strived to develop high quality projects in prime and strategic location in order to enhance private and easy living to our customers. 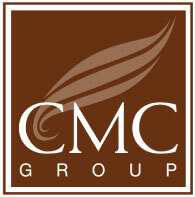 From this strategic location selection, CMC Group’s condominiums are good for both residence and investment. We compile new condos, ready-to-move in condos, and condos near/next to BTS, MRT in every strategic location with special promotion packages and prices. See more details and our galleries for your living choices whether for residence or for investment.